As an independent Travel Agent, we work differently. Holiday Hamster is not controlled by a huge conglomerate or airline focused on selling its own seats. Neither are we owned by a tour operator interested in selling its own brands. We are simply members of the award winning Global Travel Group. Established for over 25 years, the Global Travel Group helps people run their own successful businesses within the dynamic world of travel in the UK. A key pillar of our business ethic is to offer exemplary customer service from beginning to end. When you book with Holiday Hamster, we go the extra mile and always aim to exceed our customer’s expectations. Holiday Hamster prides itself on the huge variety of products that we are able to offer our customers. This is done by working with hundreds of airlines, cruise lines and accommodation providers. In fact, through our extensive contracts, Holiday Hamster is able to offer you rooms at over 500,000 properties worldwide, as well as car hire, resort transfers and many other holiday and travel products. Of course, we work with all of the big name tour operators too, such as Jet2 Holidays, Kuoni and Thomas Cook, but rest assured we do not work to sales targets, meaning that you will always get the holiday that is right for you – not us! Holiday Hamster is an ethical and responsible business. We are committed to providing the correct customer protection for each of our customer’s travel plans. That is why every trip we offer comes with the piece of mind knowing that your money is safeguarded through our Customer Protection Guarantee by bond or via a trust arrangement. 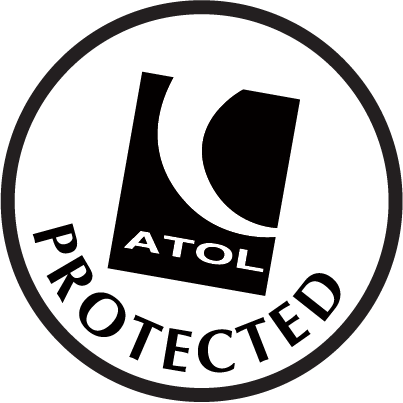 All of the overseas holidays we sell by air, come with ATOL protection as standard.